Bloggers Bluff is a guest post game for bloggers and this week we’re featuring This Is Me Now. Over the Christmas break, Susie and I both published posts about the new-found confidence we had gained from blogging, and we realised how alike we are. Reading Susie’s post, it was like somebody had written down exactly how I felt about blogging, with all my joys and fears. I’m so excited to be welcoming her to Lucy At Home, this week, as we kick off the 2017 Bloggers Bluff series! 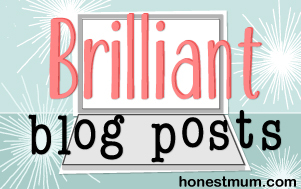 Bloggers Bluff B: Being invited back to Russell Brand’s hotel room! Anyway, as I was saying, this week, I am joined by Susie who blogs over at This Is Me Now. How long have you been blogging, Susie? Just over 6 months. My first post went live at the end of June 2016. As a SAHM, blogging has given me something for me again. As much as I love being a mum, and it was my decision to stop working to be at home, it can feel relentless and boring at times. 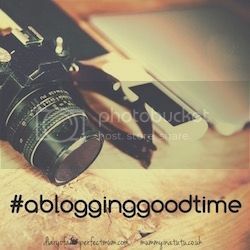 Blogging is exciting, interesting and challenging, which I love! This Is Me Now is about how I’m adjusting to being a SAHM. I write about my family life in Norfolk, from days out to our favourite foodie places. I also rant/moan/beg for answers about any parenting struggles and record those ‘aww’ moments along the way. Don’t get bogged down in stats; it will only depress you in the beginning! Everyone says write for yourself, so I’m trying to remember that. When I was 13, I went on a German exchange at school. One day, we went to a farm with our exchange students’ school class. For some weird reason, they wanted a volunteer to sit on a massive cow. And for years and years and YEARS, whenever anyone said anything about cows, I’d say, “I’ve sat on a cow before” (and, “they’re really bony, you know!” depending on their level of interest). I think I thought I was cool. It only took until university for me to realise this was, in fact, just a bit weird, and so I’ve stopped telling everyone… until now! After university, I worked as a broadcast journalist for local radio and used to read bulletins live on air. We all got tongue-tied occasionally and made the bloopers tape. One of my classics was accidentally calling Harry Redknapp “Harry Red-crap“. I was so scared I was going to get fired! Luckily no one noticed other than the DJ! I was helping an old colleague who was doing some catering for a wealthy family in North Norfolk. I was in the kitchen unpacking when who walked in? I cringe looking back on it! So peeps, it’s over to you; which is the bluff?? Find out in the next edition of Bloggers Bluff! Why not subscribe to my blog so you don’t miss out? Ah that’s cool. I’ve never come close to meeting a prince! Phew! I didn’t like that idea at all! Haha I always get them wrong too! Thanks for having a bash though – all will be revealed in the next edition. Oh I know – it’s a tough one this week! Thanks for popping by. Sitting on a cow lol, omg that is so funny. I really want C to be true, I would love to meet Prince Harry. Oh yes so would I! It does sound very random to sit on a cow! I’ve never heard of it either – weird!